I’ll celebrate my 10th anniversary with Discovery Point Child Development Centers in May of 2016. I really liked the idea of using the franchisor’s expertise in securing the land deal, building my location and providing a turnkey operation. I got to concentrate on training and operations to run my location. I also like to have ongoing support when needed. I was in the hotel business for the previous 23 years. The last 17 years of that I was general manager for several brands including Marriott and Hilton. I was referred to Discovery Point by a former colleague who worked for the Clarks, the founders of the system. 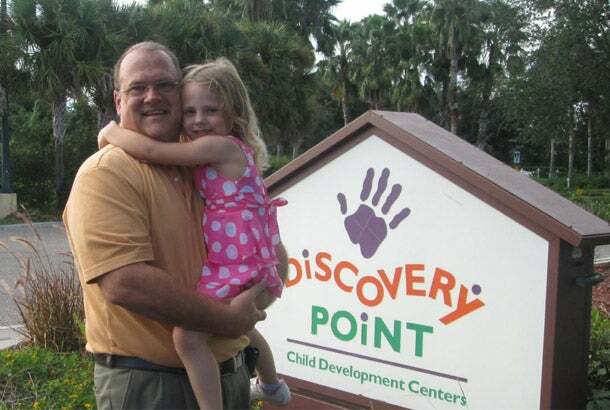 I addressed most of my child care questions directly to Discovery Point, my franchisor. Then I borrowed on my own extensive experience in opening businesses from the ground floor up. I had opened four hotels as a General Manager, and those skills were very beneficial. Some of the last-minute items to any business can feel unexpected in the excitement to open. In this case with Discovery Point, I can remember the rush of assembling cribs, putting all the toys in place, and making my business a welcoming environment from the minute people walked in the front door. Make sure that you have the skill set needed for that particular franchise. Be honest about your experience and your strengths and weaknesses. Most importantly though is the adage, location, location, location! I would like to open a second center in the next 24 months.